Flower teas, a most unique art form of tea hand-made in China by skilled artisan hands. Artisans combine young leaf green, oolong or black tea with various dried flowers giving each flower tea its own distinct characteristics. Our flowering teas are crafted using white tea yielding an exquisite tea taste. Flower teas are charming & beautiful to look at and also taste delightful. They should be given 10 minutes to open into their unique form. Display in glass to show off their elegant beauty. Never use boiling water when making your flower teas: either bring the kettle to 185 F. or add 10% cold water volume to the brewing vessel, then boiling water. 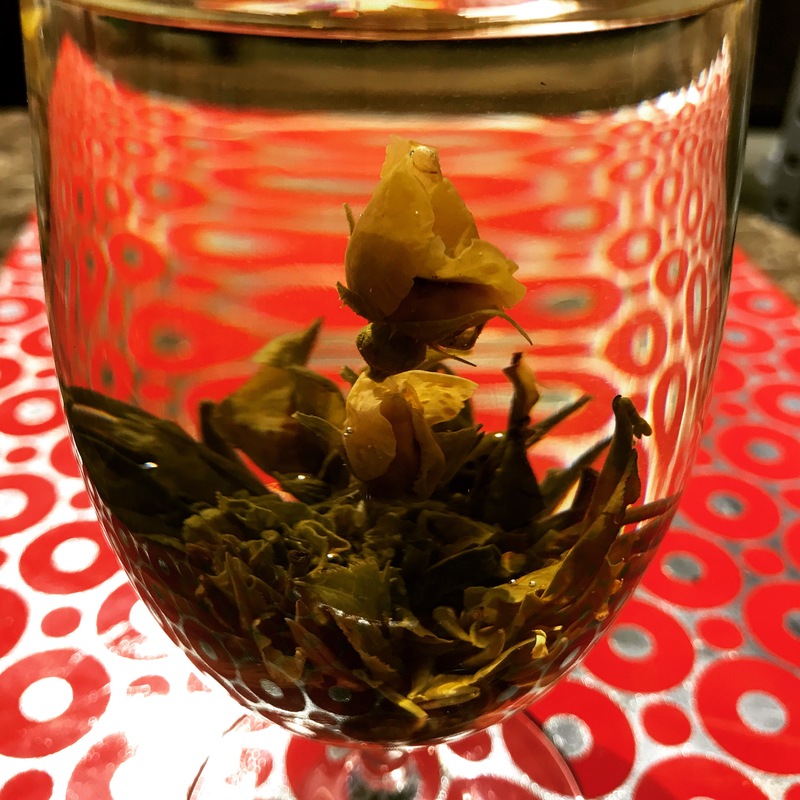 One flower tea may be infused in a wine glass. It will provide 3 more infusions in a your glass. One flower tea is also enough to make a 1.5 litre glass teapot. Items like wine decanters; vases etc. may also be used. For dinner, try a flower tea in a wine glass at each place setting. The next day, after drinking the tea, add more water and leave it on display for several days. Change the water at least daily. Your flower tea will keep in the fridge overnight if you wish to drink your second infusion later. We have 6 new flowering teas to choose from.